Learn how to train and qualify for USPA skydiving licenses. On this page we will explain everything there is to know about the classification of skydivers in the United States Parachute Association (USPA), the validity of USPA skydiving licenses abroad, USPA A-, B-, C- and D-license privileges and associated certification requirements. 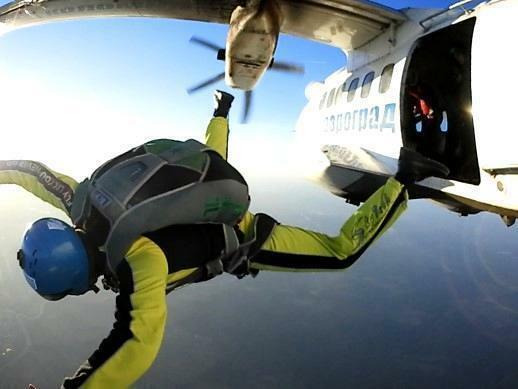 In our detailed step-by-step guide we describe what kind of skydive training it involves to meet these requirements and how much all this is going to cost when training with the Flight Club skydiving school at Aerograd Kolomna near Moscow in Russia. At the Flight Club skydiving school our focus lays squarely on getting you started into this exhilarating sport the right way. Accordingly, the emphasis is directed towards the entry-stage qualifications of USPA A- and USPA B-license training. More seasoned skydivers, contending for USPA C-licenses and D-licenses, can contact us for assistance with the administrational side of their license application. This section specifies USPA skydive license pre-requisite criteria and license privileges. 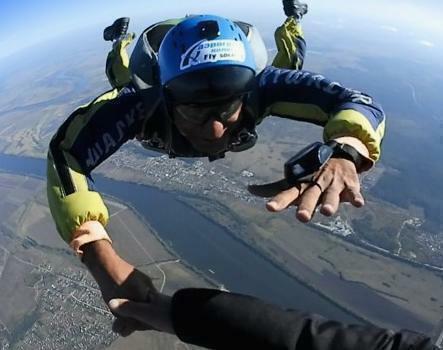 a skydiver holding a USPA A-license may jump without supervision and is allowed to participate in basic group jumps, pack his or her own parachute and perform water landings. In order to qualify for an USPA A-license, the applicant must: be a current USPA member, have accumulated >/= 25 freefall skydives, participated in >/= 5 group jumps involving 2 or more skydivers, pass an oral and a written exam, have completed and been signed off on all requirements listed on the USPA A-license proficiency card. Boom! Congratulations! That USPA A-license is pretty much yours already. Your personal coach will teach you how to pack your own parachute over the course of the 8 skydives which you will be working for together, signing off any remaining requirements on the USPA A-license proficiency card step-by-step throughout the coaching process. All that remains, is for you to show off your new exit and aircraft spotting skills during 2 low altitude skydives we call "hop'n pops". To make sure you won't freeze in low altitude emergency bail-out scenarios and to re-enforce your pull priorities, USPA requires each A-licence contender to exit once from 5,500 ft AGL and once from 3,500 ft AGL for a confidence builder. Last but not least, it's time to demonstrate your knowledge regarding some BSRs and other rules pertinent to skydiving in a written exam. Provided you score >/= 75% , your instructor will endorse your USPA A-license proficiency card and let you head out into the real world after a final oral exam and answering any remaining questions which you might have. Pending the administrational side of actually sending your documents to USPA Safety and Training Department for processing, you are now officially a licensed skydiver and can go fly with your friends! Candidates progress through the 5 canopy piloting training jumps in the same sequence as outlined on the canopy piloting proficiency card. An experienced Flight Club canopy piloting coach will brief you on each task and come with you on the skydive. Flying a parachute compatible to yours and equipped with an in-air communication system, your wing-man will provide a relative reference during canopy flight drills, provide you with real-time guidance and film your performance up-close from exit to landing. In addition, you will be wearing a Garmin Fenix 5x wrist-mount GPS watch with a live tracking feature. After landing you will be able to study your canopy flight path on a satellite map in order to perfect your approach and accuracy landing skills. During the debrief, you'll review your video and GPS data together with your coach in a fun and constructive team environment and the show goes on from there. 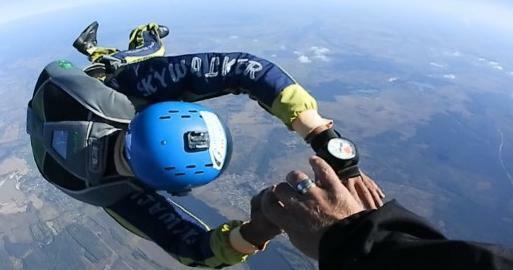 Most USPA B-license contenders show up at our office with a logbook or a video documenting their free-fall proficiency. That is cool and we of course value what we see there. Nevertheless, the first rule in Flight Club is... that' s right... you have to fly! So we're throwing down the gauntlet and invite each B-license candidate on a one-on-one flight-out, where you can show us your best game. If things check out, we tick the box. Contenders for USPA C-licenses and USPA D-licenses can visit the Flight Club skydiving school at Aerograd Kolomna anytime for assistance with the administrational side of their license applications. Should you need any help to meet the necessary canopy piloting- and/ or in-air qualification requirements, you can hire a Flight Club coach to get you ready in no time. For more info, please visit our comprehensive skydive coaching, organizing, mentoring tutorial. 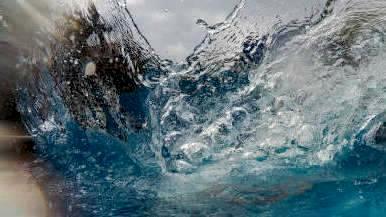 Unless you have actually landed in water, you likely have fairly little appreciation for how difficult to handle that might be. So let's get our heads into the game first with some workshop sessions before we get our feet wet! that the actual king-pin item in qualifying for an USPA A-license is the USPA A-license proficiency card. Some of the requirements listed on the card will be signed off during your Accelerated Free-Fall course, some others won' t be. pass a written and a final oral exam. Flight Club has professional coaches who will work with you in an one- on-one environment to help you accomplish all this. The entire process of completing the USPA A-license proficiency requirements typically takes 3 days. 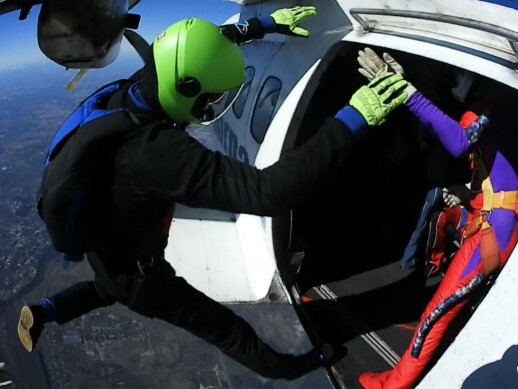 The all-decisive in-air criteria listed on the proficiency card are the two skydives which require you to "dive a minimum of 100 after another jumper and dock safely without assistance from the other jumper". In order to contend for any USPA skydiving license, a jumper must first, following his or her initial student training (such as ie. an Accelerated Free-Fall course), have been cleared for free-fall self supervision by an appropriately rated USPA instructor. Skydivers can then qualify for and receive a variety of different skydiving licenses based on their experience, skill and knowledge level. Thus, skydiving licenses are essentially certificates of proficiency. 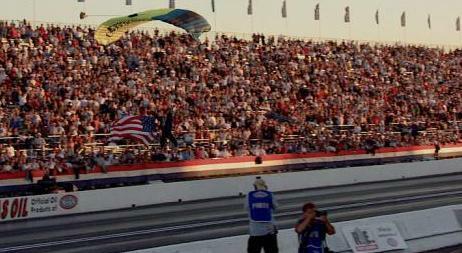 The United States Parachute Association divides these certificates into 4 classes: A-license (entry -stage), B-license (intermediate), C-license (advanced) and D-license (expert). USPA skydiving licenses are cumulative, meaning you cannot qualify for a B-license if you are not A-license qualified, nor can you get a C-license without being B-license qualified and so on. In order to qualify for any USPA license you must have a current USPA membership. All USPA skydiving license holders must comply with the applicable Federal Aviation Regulations (FARs) and comply with USPA Basic Safety Regulations as specified in the Skydiver's Information Manual (SIM). United States Parachute Association licenses meet or exceed the benchmark proficiency requirements specified by the Federation Aeronautique Internationale (FAI) for International Parachutist Certificates of the same letter (A-, B-, C or D). The Federation Aeronautique Internationale urges all drop-zone owners around the world to welcome visiting parachutists whose level of expertise in the sport has been certified according to this international standard by their respective FAI member Nation. 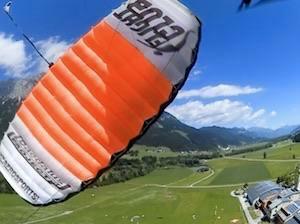 In reality, you will be able to skydive with your USPA license in very most countries. However, FAI member countries do have the right to establish their own licensing standards. It is customary in most places where a regulatory framework does exist, that the National aviation authority governing skydiving activities will request its citizens and permanent residents to cross-convert their USPA license to a National equivalent. The idea behind this is to get resident skydivers familiarized with local law and to more easily include them into domestic insurance policies. Since you already do hold a skydiving certificate of proficiency meeting international standard, this process is typically an administrational exercise only. skydivers holding an USPA B-license are able to exercise all privileges of an A-license holder, perform night jumps and, with >/= 100 jumps, are eligible to contend for the USPA coach rating. 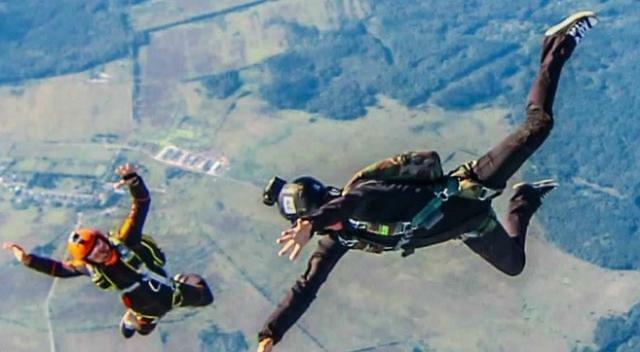 In order to qualify for an USPA B-license, the applicant must: be a current USPA member, have obtained an USPA A-license, completed >/= 50 skydives, logged >/= 30 minutes of free-fall time, landed >/= 10 x within a 10m radius from a pre-determined target, pass a written exam, have completed all requirements listed on the USPA canopy piloting proficiency card, have successfully attended live-water training, and prove their in-air skills by documenting successful completion of the planned formations on >/= 10 formation skydives (either RW or free-flying) with >/= 5 of these skydives involving >/= 3 participants. skydivers holding an USPA C-license are able to exercise all privileges of a B-license holder, are eligible to contend in USPA instructor rating courses (except Tandem instructor rating course), participate in certain demonstration jumps and are allowed to ride as a passenger on USPA tandem instructor training and rating renewal jumps. In order to qualify for an USPA C-license, the applicant must be a current USPA member, meet all criteria for or have obtained an USPA B-license, completed >/= 200 skydives, logged >/= 60 minutes of free-fall time, landed >/= 25 x within a 2m radius from a pre-determined target, pass a written exam, and prove their in-air skills by documenting successful completion of >/= 50 formation skydives (either RW or free-flying) with >/= 10 of these formation skydives involving >/= 4 participants. skydivers holding an USPA D-license are able to exercise all privileges of a C-license holder and are eligible to contend for any USPA skydive instructor rating. In order to qualify for an USPA D-license, the applicant must be a current USPA member, meet all criteria for or have obtained an USPA C-license, completed >/= 500 skydives, logged >/= 3 hours of free-fall time, pass a written exam, prove their expert level in-air skills by making >/= 2 night jumps with >/= 20 seconds of free-fall delay each (requires verification and prior briefing by an USPA Safety and Training advisor). Once a candidate has successfully met all qualification criteria for the respective USPA license, the USPA license application form will be endorsed by an authorised USPA instructor, examiner or Safety and Training Advisor and, together with any proficiency cards, sent to the USPA Safety and Training Department for review and processing. You should receive the official membership card with upgraded credentials within 30 days in the mail. Those amongst you who simply cannot wait that long, have the option to expedite the license processing request (a small surcharge applies) and your online USPA membership profile will be updated within 48 hours. Like always in life, you better have a concise plan if you really want to get somewhere. Yet better, you have some fun while you are at it and pick up some skills along the way that serve as a foundation for the future. In skydiving life, that is no different. straight into the skies, flying safely and successfully with their friends. Dive out of the plane and after your coach with a short delay and come catch him or her in a safe and controlled manner from >/=100 ft away. Most of our students actually end up doing this 3 times before it's time to break-off and deploy. Dive out of the plane and after your coach with a short delay and come catch him or her in a safe and controlled manner from >/=100 ft away. Once you docked, release the grip and demonstrate control around three axis with a loop, a roll and a 360 turn. Identify the line of flight prior to signalling break-off in the assigned altitude, track away >/= 100 feet holding your selected heading and pull stable maintaining this heading throughout the deployment process. Stay out of trouble under canopy and demonstrate a controlled landing respecting your landing priorities. (including: jump tickets for you and your coach for 6 training jumps and 2 graduation jumps, 2 hop'n pops, a packing class, tuition fees, associated membership- and A-license processing fees at USPA. not included: jump tickets for any additional solo skydives necessary to reach the 25 jump career total minimum, equipment rental fees). For A-license training courses which require our coaches to travel to your home drop-zone, a surcharge applies to compensate expenses for air-fare, transit and accommodation. For USPA A-license training courses administered on drop-zones in Europe or in the Middle East an additional surcharge of USD 250.00 applies to account for elevated slot prices. To book or to schedule your USPA A-license training with us, please complete and send us the initial booking request form. The USPA B-license is an intermediate class skydiving certificate of proficiency, which current USPA A-license holders who have accumulated >/= 50 skydives can contend for. to reinforce plan-B survival strategies essential for traveling skydivers jumping in unfamiliar territory, i.e. long spot recovery techniques and handling difficult landing scenarios such as water landing procedures. Hence, any USPA B-license applicant must complete the USPA canopy piloting proficiency card and attend in a live-water training session. 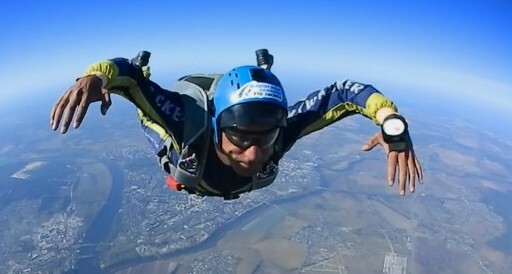 The Flight Club skydiving school at Aerograd Kolomna regularly hosts USPA B-license training days, where interested skydivers can complete these required training sessions over the course of one single day. Pool, lake, river or ocean? Depends really. Ideally, a jumper undergoes live water training starting in a pool before upping the ante and heading out into the wild. 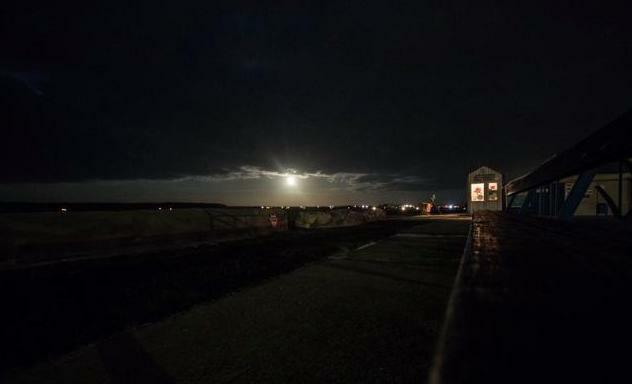 Training in realistic conditions and different environmental conditions is critical to be being adequately prepared. At the Flight Club skydiving school at Aerograd Kolomna, we take first-timers to a shallow clear lake in summer time. Repeat participants can book follow-up courses in cold weather conditions or the local river. Your first exercise will be to swim in full skydiving outfit (without the rig) to find out how far you personally can actually make it. In a second step, we'll throw you into the water wearing a rig, so you can practice your standard water landing procedure in a first level of response. Once comfortable, participants have the opportunity to practice their second and third level of response plans. The entire exercise by the way is being monitored by a 2.15m tall and pretty solid Russian life-guard. Everybody can practice within their comfort zone and within their personal level of ability. No worries. The written exams are being administered and scored, and your proficiency cards and logbooks endorsed by a USPA Safety and Training Advisor. Once complete, the USPA license application form will be sent off to USPA safety and Training Department for review and processing. (including: jump tickets for you and your coach for 5 canopy piloting training jumps and 1 free-fall proficiency verification jump, in-air video footage of your skydives, in-air com system rental fee, Garmin Fenix 5x GPS tracking system rental fee, live-water training, water gear rental, tuition fees, B-license processing fees at USPA. administered on drop-zones in Europe or in the Middle East an additional surcharge of USD 150.00 applies to account for elevated slot prices. To book or to schedule your USPA B-license training day, please fill in and send us the initial booking request form.